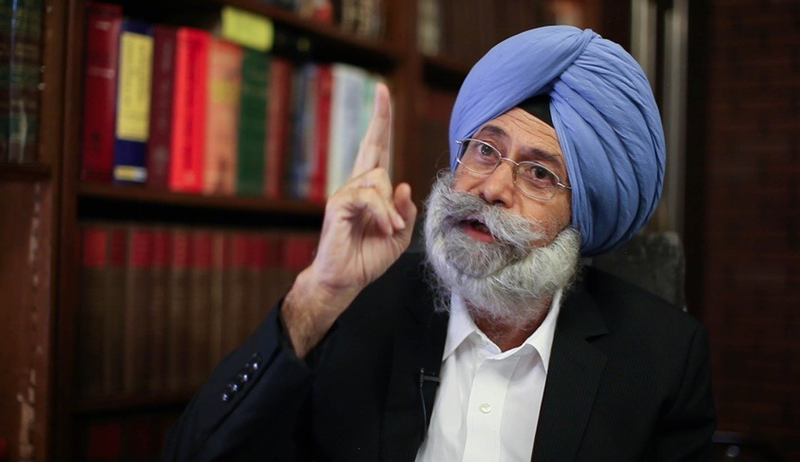 The Central Government has conferred Padma Shree award to Senior Advocate Harvinder Singh Phoolka, who spearheaded the legal battle to secure justice for the victims of the 1984 anti-Sikh riots. Last December, the Delhi High Court had reversed the acquittal of congress leader Sajjan Kumar for his involvement in the 1974 riots. Phoolka represented the complainant Jagdish Kaur in the case, who had lost her husband, son and cousins in the riots. When the High Court pronounced the judgment convicting Sajjan Kumar, Phoolka got emotional. "It is a huge victory. This moment has come after 34 years. We are very happy", he had said as he fought back tears. Phoolka conceived and pursued the formation of the Citizen's Justice Committee (CJC). The CJC served as an umbrella organisation for several human rights activists and legal luminaries. Floated in May 1985, the CJC has been pivotal in representing the 1984 anti-Sikh massacre victims before the various judicial commissions that have been formed for inquiry into the massacres. Membership included Justice Ranjit Singh Narula, Soli Sorabjee, General Jagjit Singh Aurora, Justice V. M. Tarkunde and Khushwant Singh. As a counsellor for the CJC, Phoolka represented the victims before the first formal sitting of the Mishra Commission on 29 July 1985. The proceedings of the sitting were not made public and were closed to the press. In March 1986, the CJC withdrew its co-operation from the Mishra Commission because it disagreed with the commissions decision to hold secret proceedings, and started filing individual court cases. Phoolka has written about his struggle for justice in a book title "When a tree shook Delhi", co-authored by journalist Manoj Mitta.